You ladies are always a liiiiiiiittle shook when I mention how long I go between washing my hair, so I am dishing my secrets on how I go so long! All the products and all the tips for all the days are down below. I want to preface all of this by telling you first that I am not a hair dresser and that I have dry, coarse, color-treated, thick hair. I live in the desert of Utah and I love my hair most when its a tad dirty and prefer my hair slightly frizzy, but always HUGE! It has truthfully taken me years to train my hair to go this long between washes, so don’t get discouraged if you can’t push your hair as long. With that said, I hope these tips work for you, but take these them each with a grain of salt because we all have a different head of hair and one size does not fit all! PREP : While I am NO hair dresser I have found the products that I prefer for my dry coarse hair in the shower and before I style!! The products deliver moisture while keeping my hair bouncy and clean for days on end. IN SHOWER : SHAMPOO : KIN ‘Purity’ : I adore this shampoo because to get my hair to go so long it takes quite a beating and the products build up on my scalp. This keeps my scalp fresh, clean, bouncy and (most importantly) flake free!! CONDITIONER : TOO COOL FOR SCHOOL ‘Egg Remedy Hair Pack’ : Since I only wash once a week, I only ever use a deep conditioner! This stuff is better than all the deep conditioners that I have used from the salon and is just $20 on Amazon. I love it because it keeps my hair hydrated, but doesn’t weigh it down! AFTER SHOWER : ROOT LIFT : KIN ‘Radical Volume’ : I am obsessed with this volume spray because it works on my hair even when I don’t blow dry! It keeps my roots lifted without feeling sticky or adding to the product build up in my hair. LEAVE IN CONDITIONER : UNITE ‘Seven Seconds’ : I’ve used A LOT of leave-in conditioners and this one takes the cake for my suuuuuper dry hair. A little goes a long way and it truly keeps my ends from looking crusty no matter how terribly I treat them. WIDE TOOTHED COMB : I swear by these combs because they don’t take the bounce out of my naturally wavy hair, but after I apply my leave-in conditioner I gently comb through with this and it keeps my curls looking uniform and allows my hair to air dry beautifully. HAIR OIL : SEBASTAIN ‘Dark Oil’ : This is the only oil that actually WERKS for me. It is a muuuuch thicker oil than most, but that means that a little goes a long way and that the hydration power packs a MAJOR punch. After I comb through my deep conditioner I will scrunch my natural curls with this oil in my hands to keep every strand hydrated, bouncy and frizz free! NOTE: After your shower be sure that you are drying your precious hair with either a specific hair towel or with an old t-shirt! This is going to keep moisture in the hair and keep the fizz down. I (typically) shower at night and so I leave my hair wrapped in a t-shirt all through the night!! STYLE : I have shown ya’all how I like to style my hair & while I have a few styles that I love I have one objective “BIG”!!! 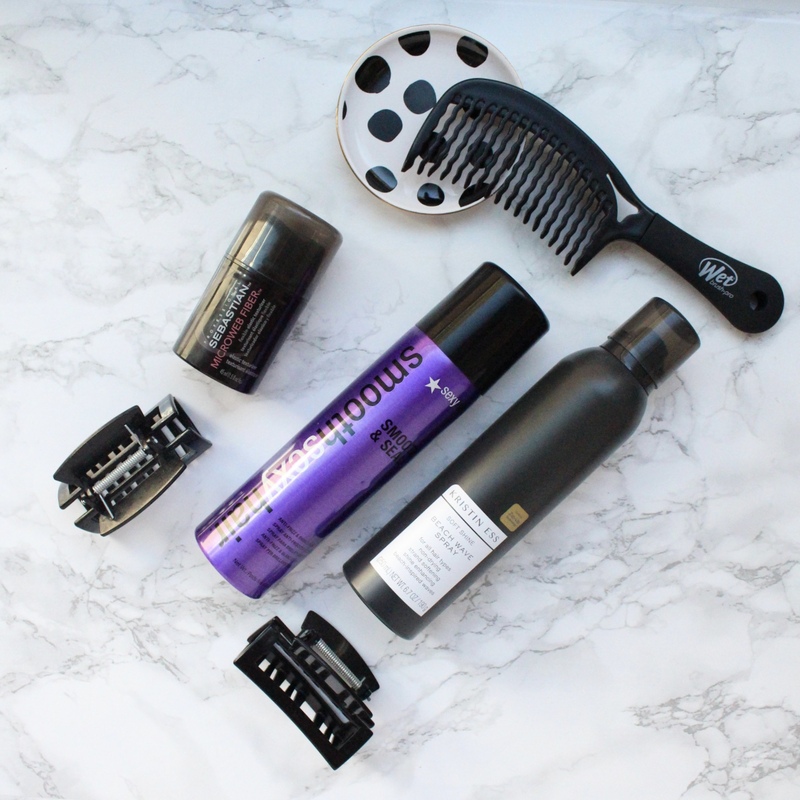 These are the products that I love for big hair that looks full hydrated and bouncy. 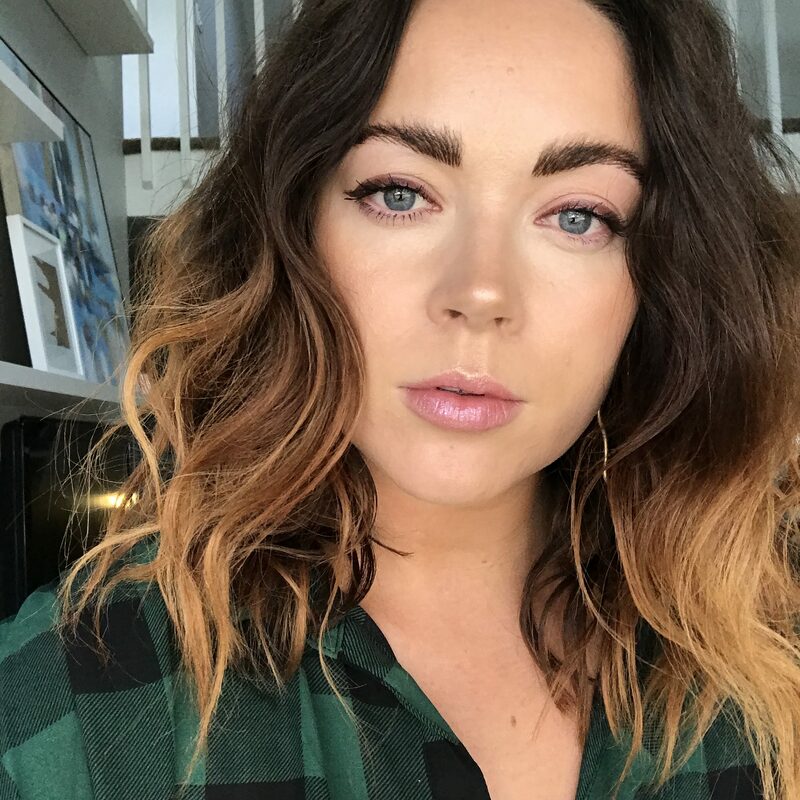 TOOLS : I use a few different curling wands and crimpers to get the varying styles that I prefer, but my top are linked below and how I prefer to use them! STRAIGHTENER : BABYLISS ‘Nano Pro 1 1/4″‘ : I use this to both straighten and curl my hair on the 340 degree setting. I love that it glides smoothly over my hair and that it leaves my hair looking shiny and achieves the style that I want quickly!! CURLING IRON : HOT TOOLS ‘1 1/4″‘ : I pick up this iron over most my other irons because the barrel size gives those loose waves that I prefer, but I can also use it as a deep waver! I use this iron on the very hottest setting and only need to hold the curl for 5-10 seconds around the barrel to see results. DEEP WAVER : TIGI ‘S Waver’ this is the deepest wave iron I could find and so when I am in a pinch I use this to get quick beachy waves. I use it on the hottest setting and alternate directions between sections of hair for a more messy look. NOTE * No matter which curl/tool I end up using I ALWAYS straighten the very ends of my hair! This lends to the more messy textured look that I prefer and really keeps each strand/curl separated. UPKEEP : There are just a few things that I love and attribute to keeping my style going strong looooooong AFTER I have actually styled. These are the things that I love for making my hard work last as long as humanly possible!